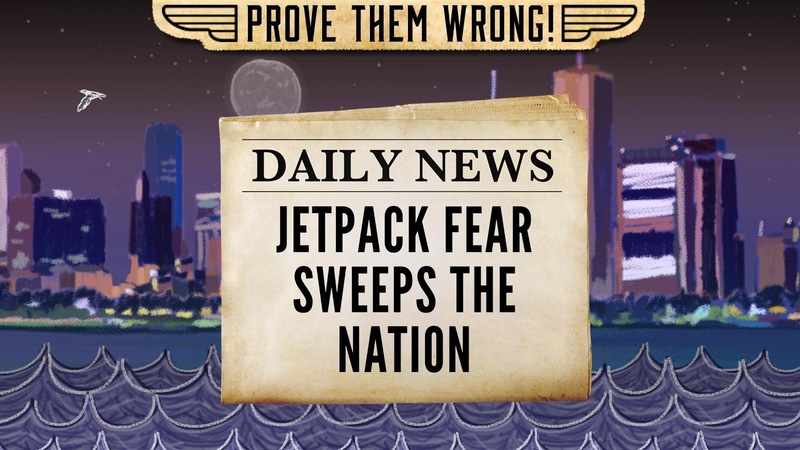 Sure, jetpacks seem like a good idea at first, then you realize how hard it would be to not die while using one. 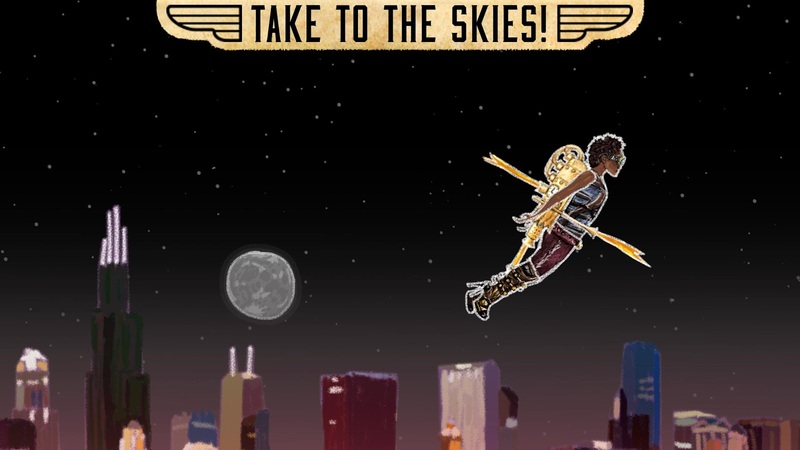 Piloteer gives form to that fear with a mercilessly challenging physics simulator. 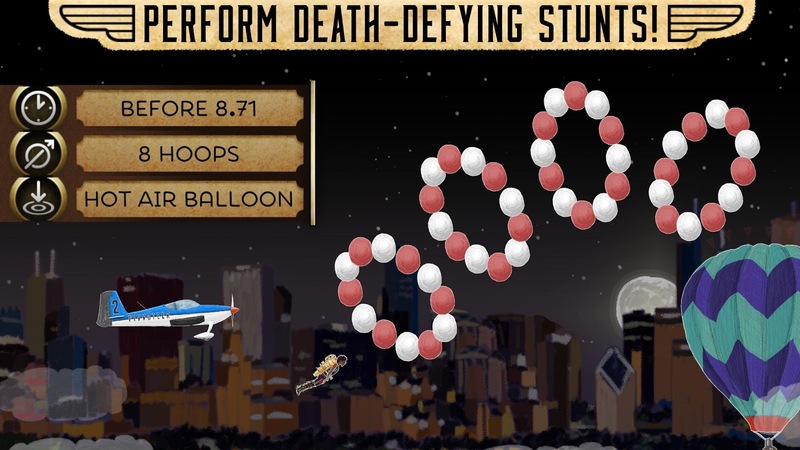 You have a jetpack in this game, but it doesn't have any fancy gyroscopic stabilizers or wussy safety measures. You fly, you fail (fabulously), you fly again. In the main career mode of Piloteer, you are given 60 different missions across three lovely art deco levels. The missions can be anything from land in this spot, to stay in the air for 5 seconds, to fly through these rings. 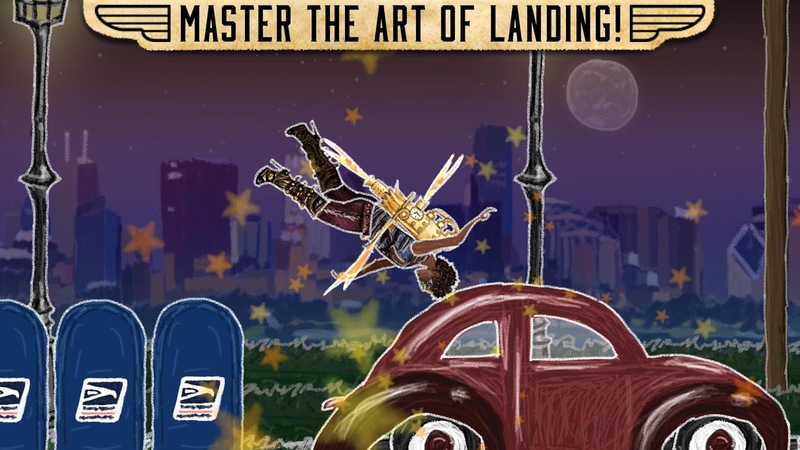 To complete any of the missions you have to stick the landing, meaning your feet have to (more or less) touch the ground first. The ragdoll physics make crashes pretty amusing, though. The controls are just two buttons on the left and right. The left button fires the left/up thrusters and the right one fires the right/up ones. You can press both to go roughly straight up. I actually found that inverting the controls made more sense to my brain, but it's still super-challenging, like trying to balance a broom handle on your hand after a few beers. By the way, this developer's other game in the Play Store is Pivvot, which is maddeningly difficult in its own right. 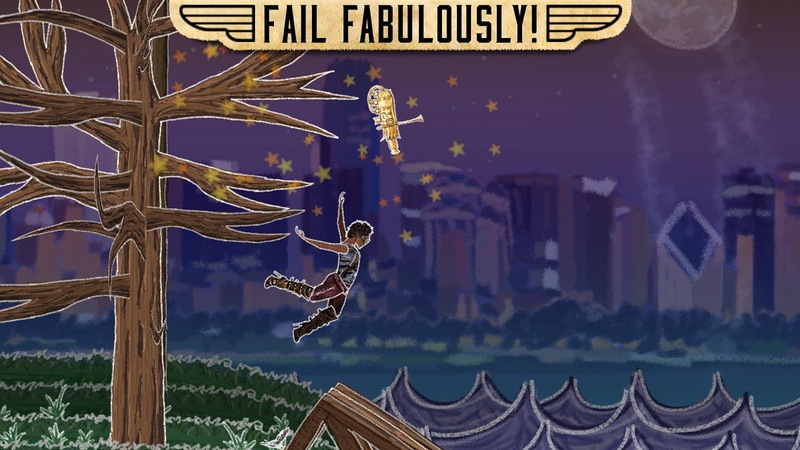 Piloteer is worth checking out, even though you'll have to ragequit sometimes.